Palos Verdes Villa – the best retirement home in the South Bay area of Los Angeles located on a hilltop with wonderful ocean views and breezes we offer newly remodeled, resort-style apartment homes for retirees. 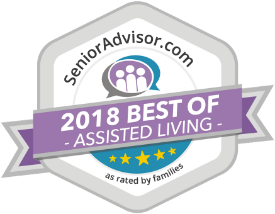 PALOS VERDES VILLA THE BEST RETIREMENT HOME IN THE LOS ANGELES AREA! Each of the private or semi-private apartment homes at Palos Verdes Villa comes with new carpeting and locking closets to protect your valuables, and is furnished with your choice of a single or full sized bed with matching night stand and lamp, a full sized dresser, a desk and chair, and an easy chair for reading or watching television. All of our apartments are wired for Cox cable and internet. The private bathrooms have granite vanity tops and are available with custom bath tubs with grab bars and cut-outs for easy access. Our professional chef prepares three meals each with two options daily, seven days a week. The chef is able to accommodate any special diets such as vegetarian meals, meals for diabetics, and low-carb meals as well. Coffee and donuts are available as well. Meals are served in our elegant and spacious dining room. Our Activity Director schedules social, educational, and cultural activities both in community and off-site each month and a printed monthly activity schedule is available to each resident so they can plan to join in any activity. Our professional and caring staff provides 24 hour – weekly housekeeping and daily maid service, laundry services, assistance with bathing and dressing, incontinent care, medication dispensing and monitoring. Accommodation and services to cater to special needs are available as well. Please use our Contact Form to arrange a tour of the Best Retirement Home in the Los Angeles area or to request more information. The time to plan for a transition to retirement living is before an accident or injury occurs. Don’t wait another day; contact us today at 310-547-9941.